Heywood-Wakefield doesn’t do mass production. We don’t sit on inventory. We build our furniture to order. For this to work, we keep components on hand, trying to always have some of what we need to build anything from our current catalog. Some of our high-grade lumber and other components are expensive to acquire and store, though, so it’s a balancing act. This balancing act is trickiest when we introduce a new production run. It’s very helpful if we have an idea of how many pieces we’ll produce in a particular time frame. 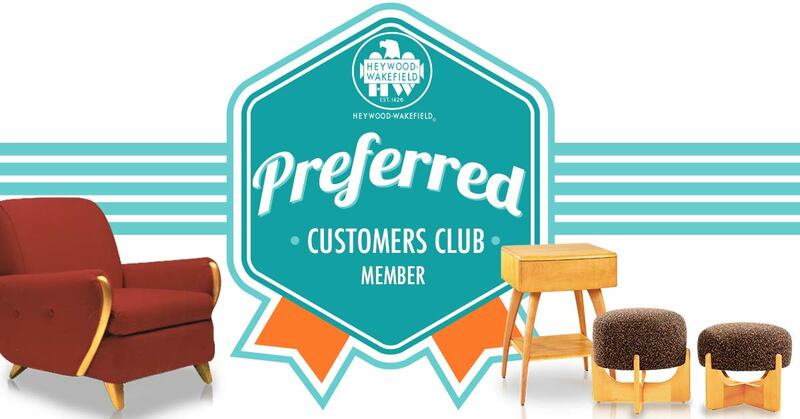 Help us out by joining our Preferred Customers Club and pre-ordering items you want when we introduce a new production run. Because you’ll save us some trouble and money, we think you should save money too. That’s why you’ll get exclusive discounts with any pre-orders made though the club. We’ll let you know what’s coming, and you just let us know if you want it. It’s that simple.